Busch Stadium Baseball Stadium Seat Cufflinks. Made from actual salvaged stadium seats which were removed from the stadium either during remodeling efforts or demolition. These are perfect for collectors, executives, and St. Louis Cardinals fans. The painted wood colors will vary, but all are sure to look great with any outfit or suit. 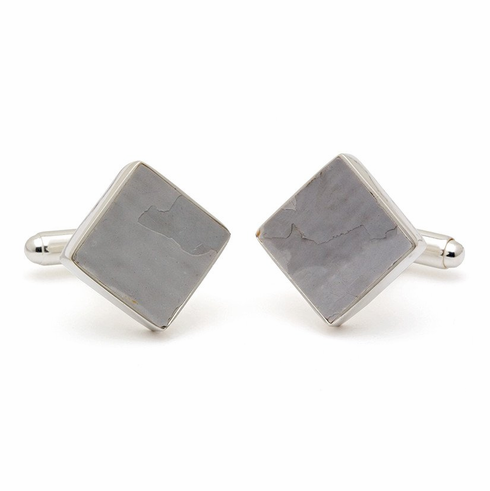 As these cuff links are made of authentic seats, no two pairs are identical. Color and condition of the paint may vary from that depicted in the image. The cuff links are individually numbered. Hand-signed certificate of authenticity is included. Note: Due to the age of the wood and uniqueness of the seats, the painted surfaces may be multicolored due to layers of paint.